A 19-year-old unmarried mother killed her baby by throwing the baby into a river to drown. The mother is a migrant worker in Jiaxing city of Zhejiang province who works at a foot bathing store. She didn’t know who was the father. 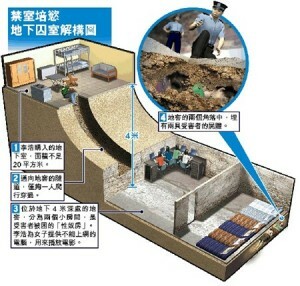 After noon on February 27, a man boarded bus no. 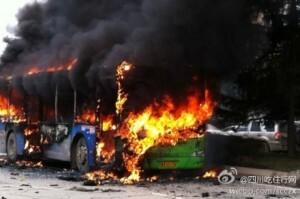 237 in Guiyang and ignited a barrel of gasoline on fire. The fire killed six and injured 35. 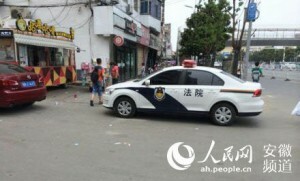 Yesterday, a man surnamed Su was arrested for allegedly causing the arson. 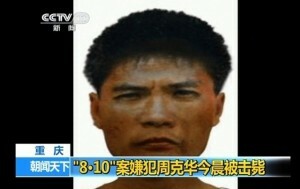 Su is alleged to have caused the fire because he believed his wife was having an affair. Yesterday afternoon, Ministry of Public Security and Chongqing Municipal Government held a press conference to announce the crackdown of Zhou Kehua’s case, who committed a series of armed robbery and murder. 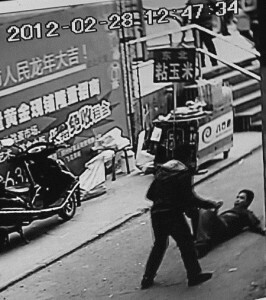 Huang Wei, Vice Minister of Chongqing Ministry of Public Security, pointed out at the conference that Zhou Kehua was shot dead by a policeman, instead of committing suicide as rumored on the Internet. 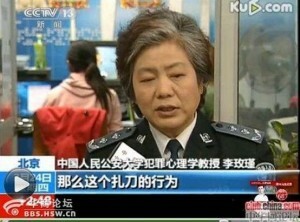 A Chognqing citizen was rewarded 600,000RMB for providing important clues to arrest Zhou Kehua. 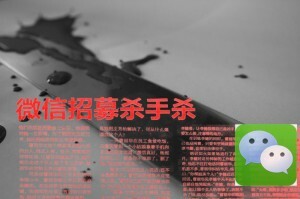 (From Jinghua.cn) 20 years old porter Ma Jingku chopped his boss’s daughter-in-law and her 2-year-old son to death with an axe after being asked by the woman to help look after the kid. 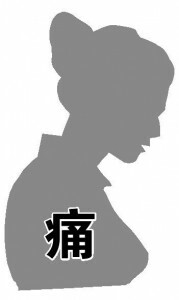 Ma’s case open for trial on Mar 1st. When confronted by his victims’ devastated family, Ma shrugged his shoulders and even worn a smile on his face. 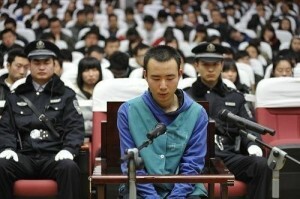 He bowed to the court and pleaded for immediate death penalty. This is a scene from the movie " If you are the one（非诚勿扰）" : "Li Xiangshan is diagnosed with incurable disease, his good friend Qin Fen helps him to die with dignity. 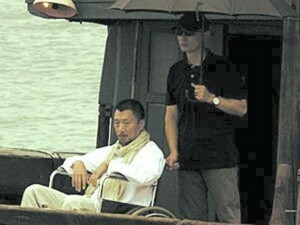 Qin pushes Li in the wheelchair to the bow of a boat. When Li pats Qin’s hand, Qin gets the message, goes back into the cabin and leaves Li there. Later, Li drops himself in the sea to end his life.